Cramped in a 1960s office building, the Calgary Board of Education decided to move hundreds of employees to a new tower in the Beltline. This building had the unique feature of being annexed to a renovated heritage school, and CBE wanted to preserve the history of that space. But the new building would have a contrasting aesthetic, with several decades of history separating the two. This created a possible challenge: How could CBE integrate old and new together, while also being strategic about the costs of integrating them? How did we make a difference? 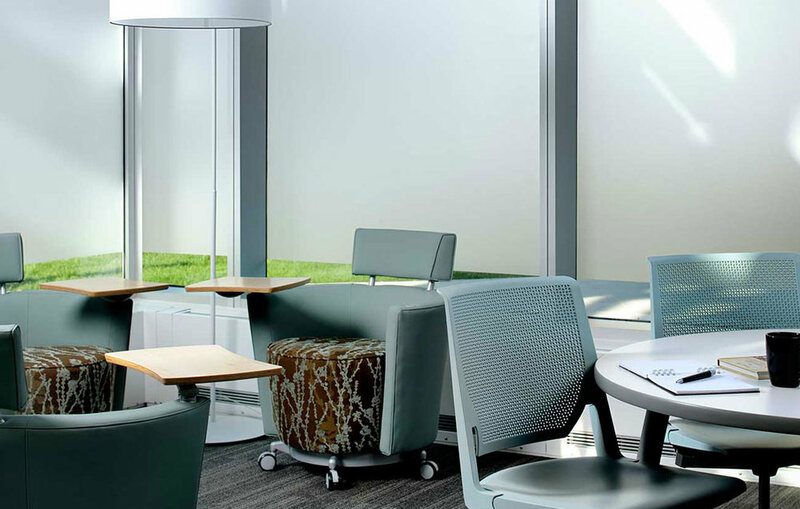 HBI was contracted to supply Haworth furniture that respected each building’s story. In heritage areas, original wood was visible and the furniture was chosen to match: warm tones, quasi-traditional lines, and a ton of built-in flexibility. In contrast, the furniture in the new areas had a more modern edge: muted but vibrant colours paired with interesting aesthetic features. Even despite their differences, each piece of furniture was chosen to coordinate with all others – this would help everything hold up to restacking and future-proof CBE’s design, without as much future cost. The last piece of the puzzle was an Interactive Learning Centre and Transition Centre to reengage students who have left school. CBE chose benching and seating in this area that was easy to clean and very space conscious, which made the best use of the square footage that they didn’t need for staff. 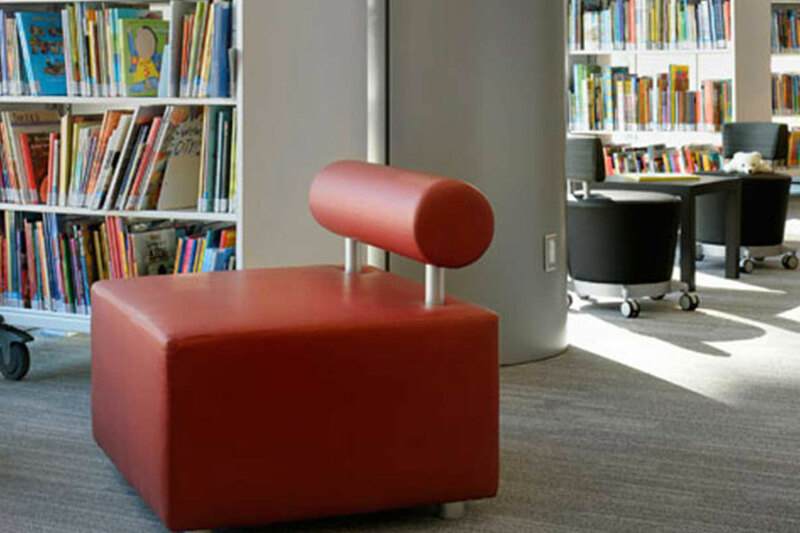 With a little help from HBI, the Calgary Board of Education was able to create a comfortable space that looks forwards and backwards, all at once.